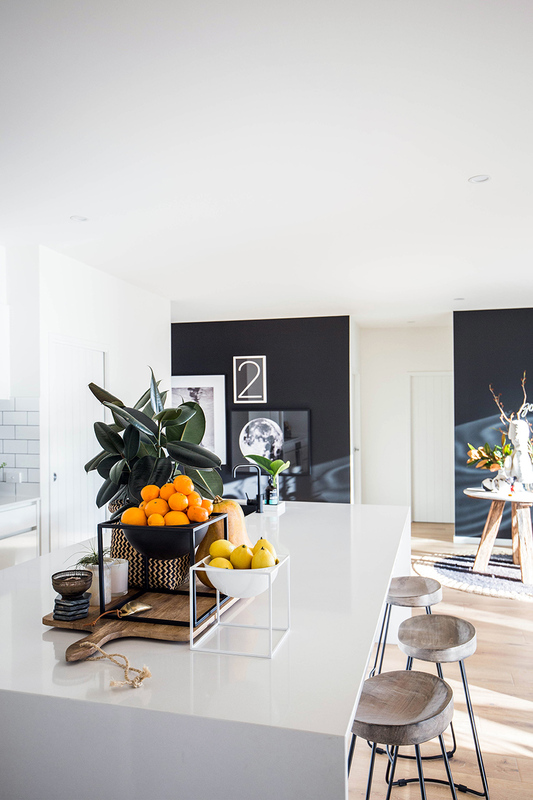 Light, modern and full of surprises, the coastal home of interior designer Jacinta Platt is a refreshing spin on the Aussie beach shack. 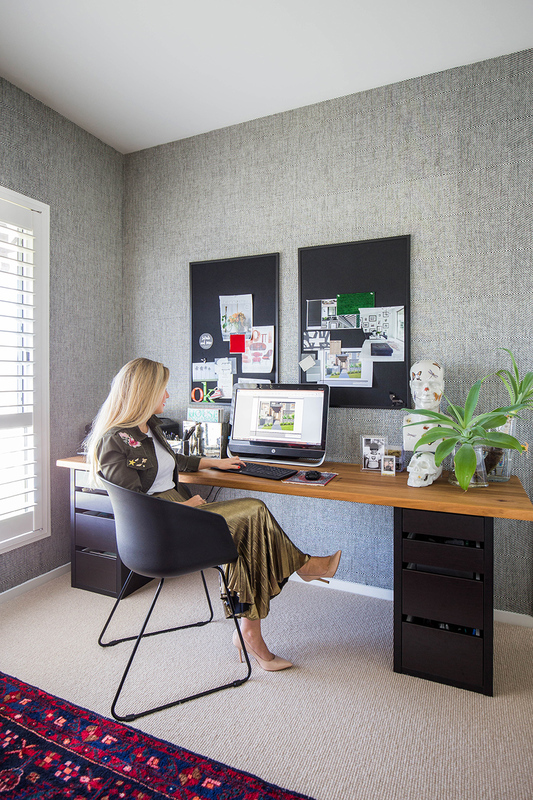 Considering Design Scout‘s Jacinta Platt has such a signature eclectic style – she nominates tribal, coastal, modern and classic as some of her major influences – the Tweed Coast home that she shares with her husband is remarkably thematic, showing off her love of a neutral palette teamed with bold use of colour. 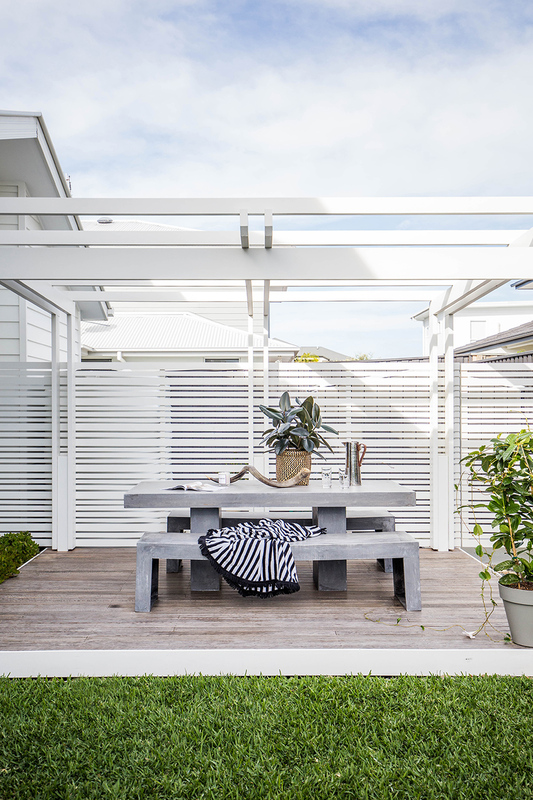 It’s a modern twist on the beach shack idyll that Australians so love. 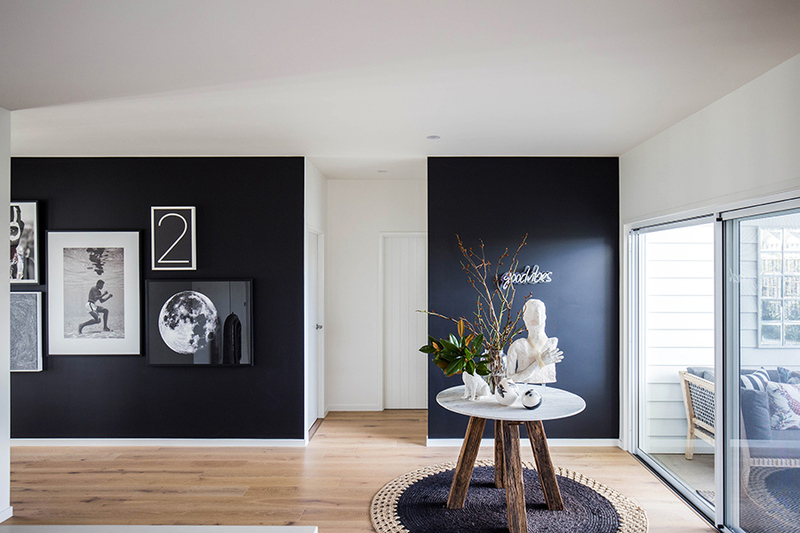 The result is a little moody yet still bright and inviting, as Jacinta has masterfully mixed dark colours, natural materials and texture (including striking textile feature walls) to make the open plan, contemporary space feel cosy and polished. Adding layers of interest and intrigue to every corner are photos and quirky objects – mementos of the designer’s extensive travels. 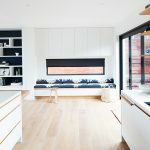 The designer has also made a point to include features that make her feel happy. A case in point? 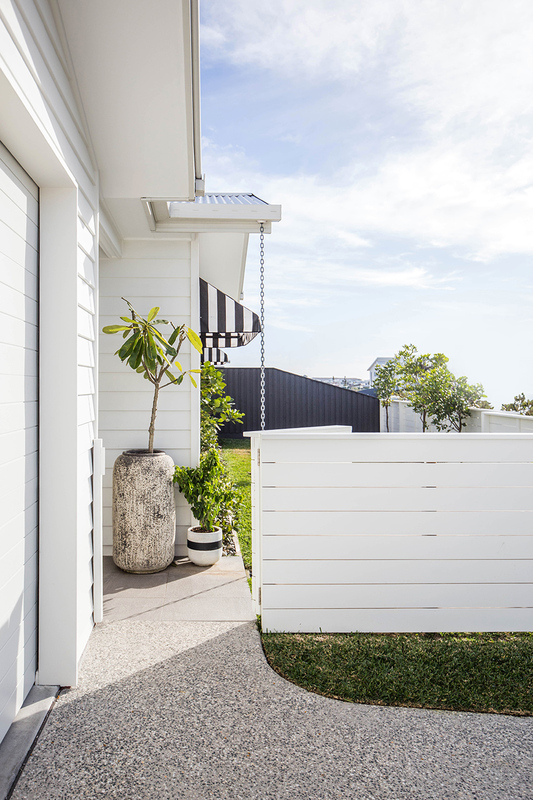 The home’s external black-and-white striped awnings – a chic finishing touch that bring a smile to Jacinta’s face every time she turns into the driveway. 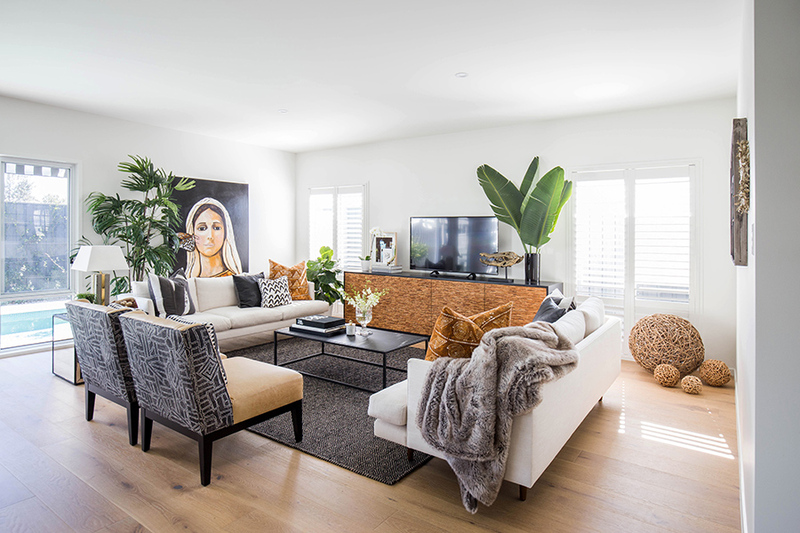 Ideally located minutes from the beach, the house was built by Perry Homes just two years ago. 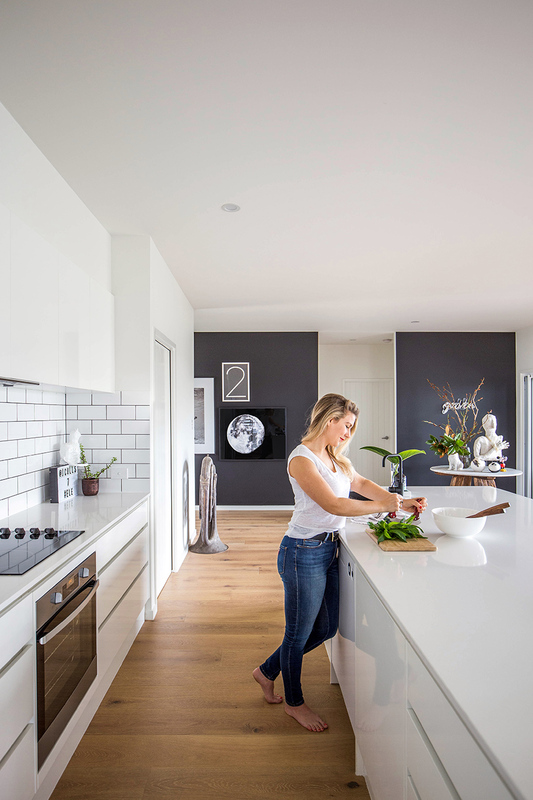 “I have been fortunate enough to work on Perry Homes display homes for years, and as this was our first home, they were able to build to our requirements and our limited budget,” Jacinta says. 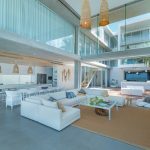 The design of the home itself is simple, elegant and modern and just about as open plan as it comes, with the kitchen, dining and entertainment spaces all flowing into one another. 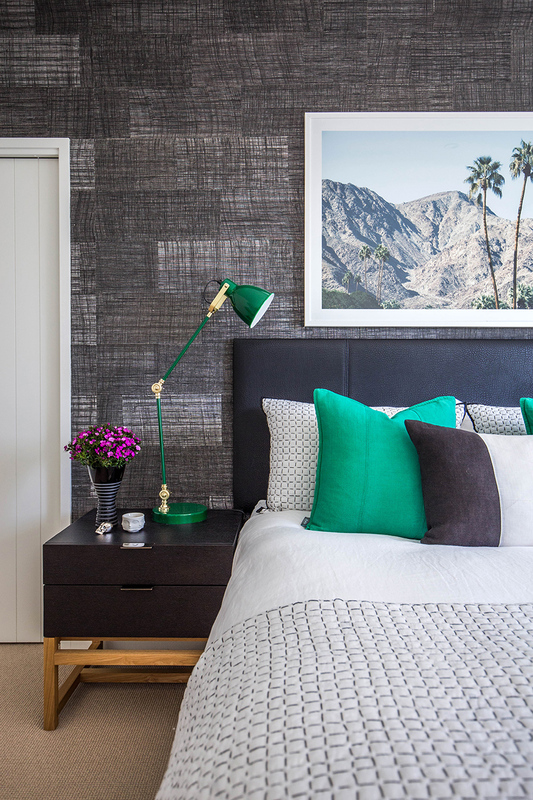 This gives the home a spacious and welcoming feel, as well as being a totally customisable and versatile backdrop. 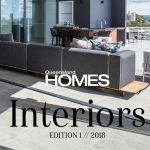 Jacinta is refreshingly honest when she admits it’s not her dream home, explaining that there are many more things she would like to try to push the boundaries of interior design. 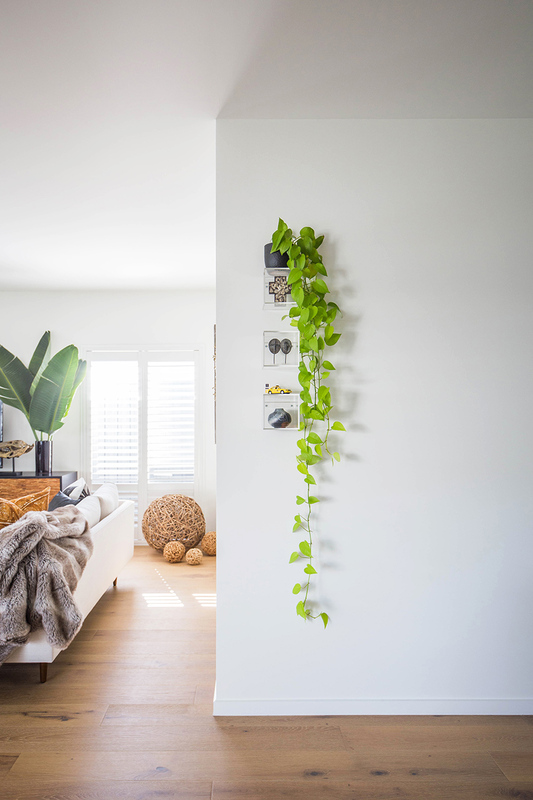 But, for now, she says, it’s an easy, low-maintenance home to live in that’s cute, fun and comfortable for friends and family.